Chris Ogbechie teaches Marketing, Strategy, Sustainability and Corporate Governance on the MBA and Executive Programs at the Lagos Business School, Pan Atlantic University. He also teaches Marketing, Strategy and Corporate Governance on the Executive Programs of Strathmore Business School in Nairobi as a visiting Professor. He has a first class honours degree in mechanical engineering from the University of Manchester, MBA from Manchester Business, and PhD (Business Admin) from Brunel University in the UK. He has over 36 years’ experience in Marketing, Strategy, and Corporate Governance derived from his work at top management level at Nestle Nigeria, Nestle Malaysia, Ecobank Transnational Inc. and from his various consulting work with Nigerian and Kenyan firms. His current research interests are in strategy in turbulent environment, Africa-to-Africa internationalisation, strategic leadership, board effectiveness, and sustainability. He has several publications in financial services marketing, strategic planning, corporate social responsibility, sustainability, and corporate governance. He has written three books "Strategic Marketing of Financial Services in Nigeria" (2011), "Re-engineering the Nigerian Society through Social Marketing" (2012), and “Key Determinants of Effective Boards – Nigerian Perspective” (2014). He has also presented papers on corporate governance, sustainability, and internationalisation at international conferences. His journal article "Board Characteristics and Involvement in Strategic Decision Making: The Nigerian Perspective" is included in Emerald’s peer-reviewed reading list of top quality journal articles and book chapters. He is a regular speaker on marketing, strategy and corporate governance issues. He has assisted companies with strategy development and execution, starting with strategy retreats. He sits on several boards of publicly quoted and private companies, and NGOs in Nigeria. 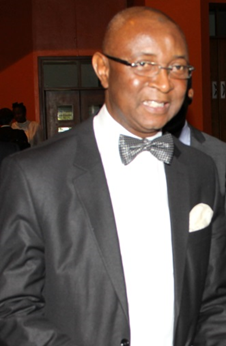 He is the chairman of Diamond Bank Plc, one of the top six banks in Nigeria.